Marrubium vulgare, also called horehound or white horehound, originated in parts of Europe and other countries near the Mediterranean Sea before being brought to the Americas after colonization. It is a member of the mint family and it became widely used due to how easy it is to grow. Primarily, the visible parts of the plant are used in botanical formulas with the root occasionally being incorporated depending on the manufacturer. It is a perennial plant now found in most of the United States, apart from those with strictly tropical climates. The most common use of marrubium vulgare is for inflammatory conditions and inflammatory symptoms experienced in almost any part of the body. Some studies suggest that in people with type 2 diabetes, taking horehound tea before meals may slightly lower blood sugar levels, improve appetite, dyspepsia, or indigestion after regular use for three weeks. Horehound has also been used effectively to treat symptoms such as the common cold, shortness of breath, persistent cough, and increased mucus secretions. There is limited evidence for the use of horehound to treat liver and gallbladder problems, constipation, fluid retention, bloating, gas, abdominal pain and spasms, skin damage, ulcers, and wounds. However, the use of horehound for blood sugar irregularity and digestive difficulties could simultaneously relieve some of the aforementioned symptoms. The portion of the horehound plant which grows above the ground is safely used for consumption. Horehound leaves harvested in the first year should be dried indoors or outdoors after placed in a bundle. Dry leaves and blooms should be chopped and placed in an airtight container for storage for up to one year. Horehound can be made into a tea for consumption or taken orally by mixing it in food or taking alone as a supplement. Horehound leaves and flowers can be cooked. They can even be added to salads and soups. Be sure to discuss horehound supplementation with your doctor or healthcare professional prior to adding it to your diet. Horehound can be found at local pharmacies or ordered online. It is important to ensure you order from a reliable source online with good reviews along with honest and accurate nutritional ingredients readily available. You can also grow your own horehound plant. In early spring, seeds should be planted ten inches apart in the ground and harvested once the plants bloom. Horehound plants are drought-tolerant and require little water to grow adequately. Due to the ease in growing this plant, it spreads quickly and can take on the properties of a weed if given space to do so. Horehound should not be applied directly to the skin, as it may cause skin sensitivity or an allergic reaction. Horehound should not be used by women who are pregnant due to its ability to cause menstruation, interfere with hormone levels, and potentially cause a miscarriage. Women who are nursing can take mix horehound in their food only occasionally, but it should not be taken alone. Those on medications for diabetes, high blood pressure, and heart disease should discuss the use of horehound with their doctor, as horehound can affect blood pressure readings, blood glucose levels, and heartbeats. If these issues are already being addressed by medications, additional use of a supplement such as horehound could cause unsafe drops or changes in these symptoms. Can horehound tea be used to help liver or fertility problems? There is no evidence that horehound can treat these conditions. 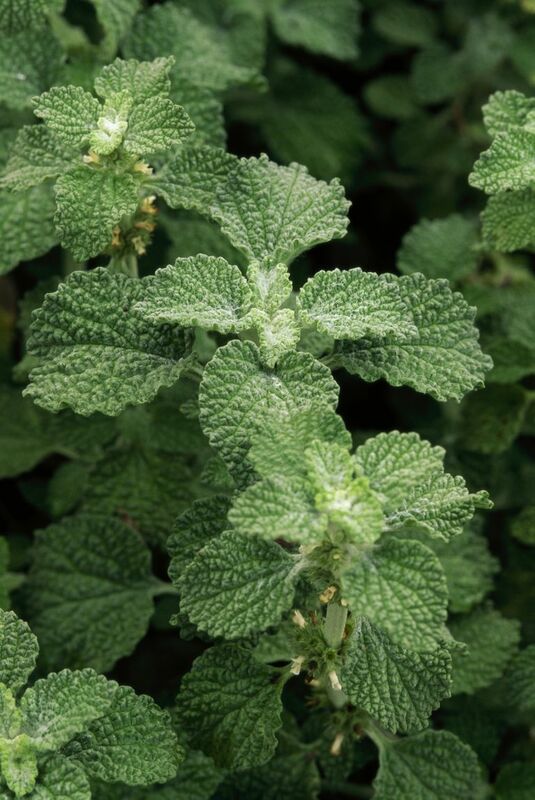 What is the difference between white horehound and black horehound? Black horehound has different properties than white horehound, some of which include treatment of heavy menstrual periods, motion sickness, and general nausea. Both herbs should be researched before use, as their properties are quite diverse. Is Wild Cherry Bark a Cold Remedy? Barton B & Drost D. Horehound in the Garden. Utah State University Cooperative Extension. Updated February 2008. Roman R, Alarcon-Aguilar F, Lara-Lemus A, Flores-Saenz, J. Hypoglycemic effect of plants used in Mexico as antidiabetics. Arch.Med.Res. 1992; 23:59-64. United States Department of Agriculture: Natural Resources Conservation Center. Marrubium vulgare L. horehound. University of Michigan Medicine. Black Horehound. Should You Take Goldenrod Supplements?